Since moving to the south I've struggled to find "the one". No I'm not talking about boys, I'm talking about salons. 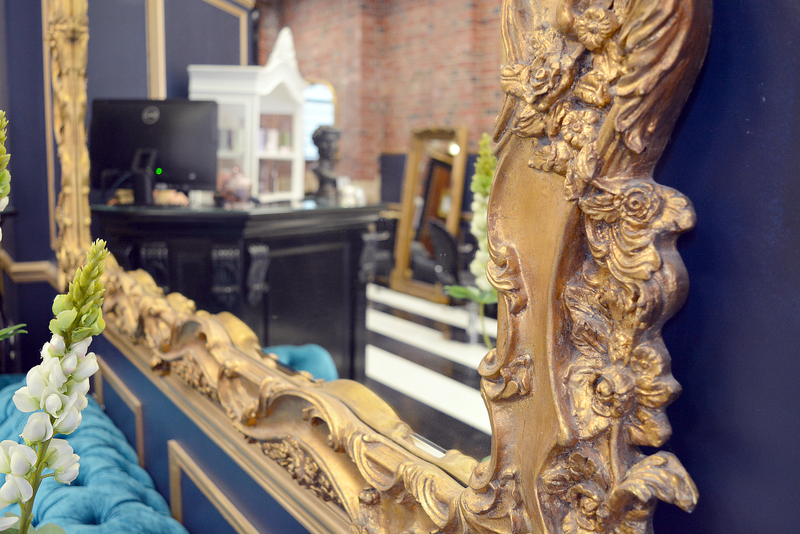 I'm the kind of girl who likes to find a salon that ticks all the boxes and stick with it. 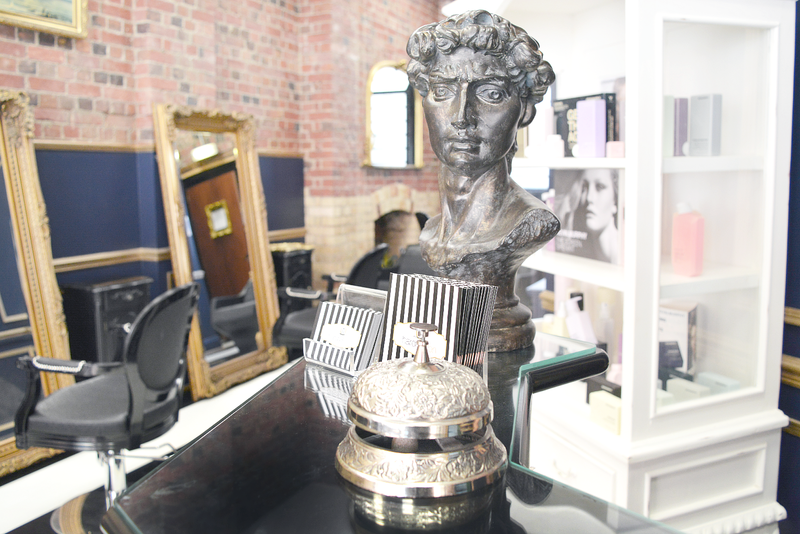 I was immediately drawn to Hardysalon on Lord Montgomery Way, Portsmouth. It's beautiful interior complete with striped floor, a teal velvet sofa and huge mirrors was enough to make any girl's heart flutter. 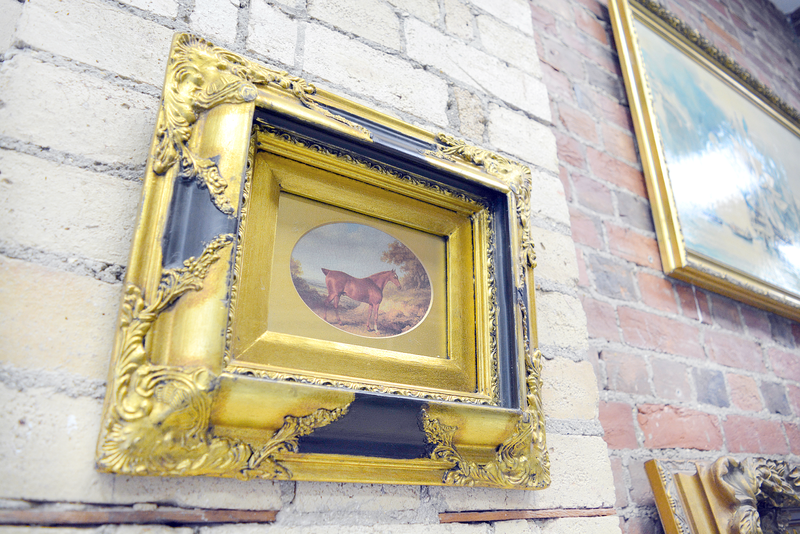 It's designed by salon owner, Rachel, who clearly has a flair for interiors as well as hairdressing. At the bottom of the spiralling stairs is Hardysalon's alter ego, blow dry bar Bouffant Inc. The dazzling light bulb mirrors, black flooring and walls are unlike anything I've seen before. I can't wait to go and get bombshell curls one day! This time I went for a simple wash, cut and finish. 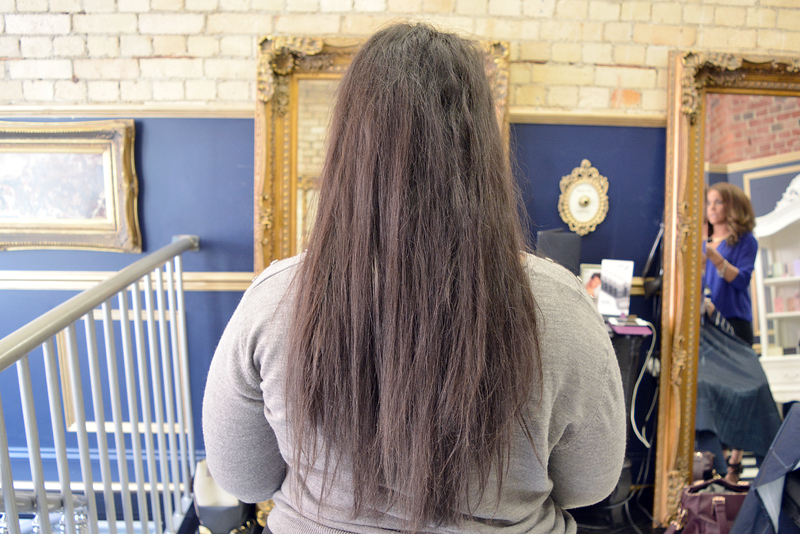 After snapping some photos of the salon I met my Hairy Godmother (hehe) for the day, Yasmin. 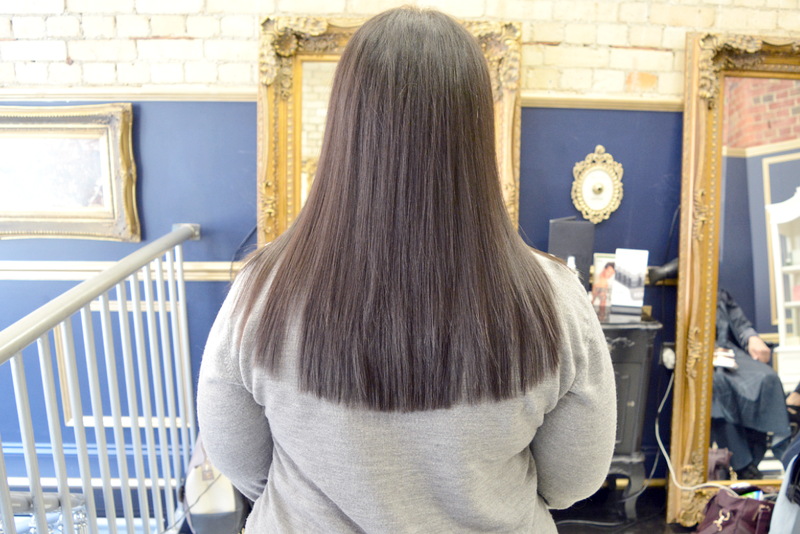 She performed miracles on my dull, damaged hair and it already looks so much healthier. 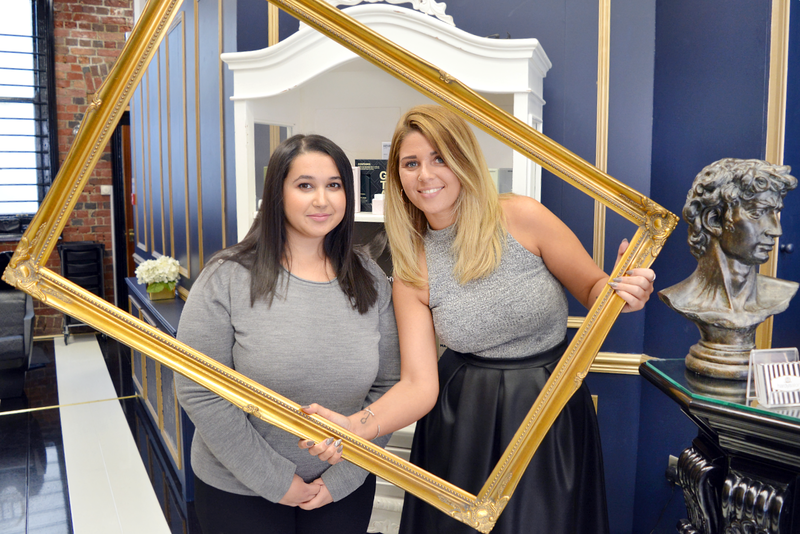 Throughout the appointment, Yasmin talked me through all the products she used, advising me on their benefits and she gave me lots of tips for styling, mending and making the most out of my hair. I asked for a blunt cut with choppy layers and a low swoop fringe and that’s exactly what I got. Yasmin didn’t do the dreaded "salon inch" (see what I'm talking about HERE) and I was extremely happy with my new do. 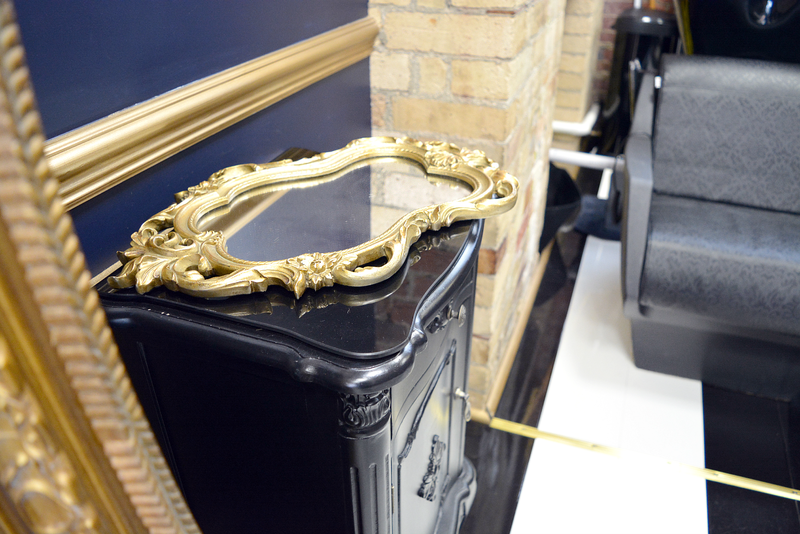 Hardysalon is such a beautiful, boutique salon and I thoroughly enjoyed my experience. Rachel has clearly worked hard to create a unique customer experience, from the massage chairs when they wash your hair, to the unique interior, to the skilled staff she's hired and even the adorable, pink striped teacups she serves drinks in. You’d think this kind of service would cost the earth right? Wrong. My whole experience cost £25 - which is cheaper than the local Supercuts (who’s customer service is below average, if you ask me). 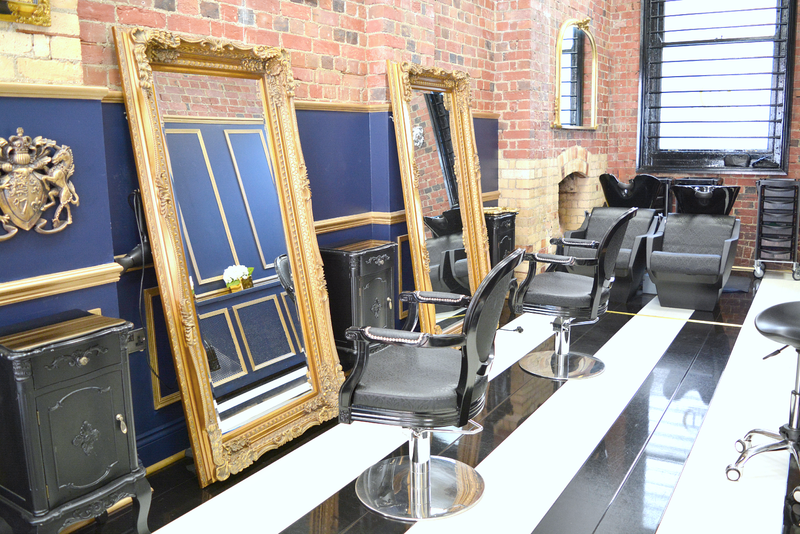 For a premium salon experience at a budget friendly price get yourself down to Hardysalon. I strongly recommend Yasmin for a stylist and I look forward to my next trim! Wow! I am loving your hair and the salon. My hair icon is Brigitte Bardot! Yes! I love the whole 60's era, fashion, hair and make up was amazing.